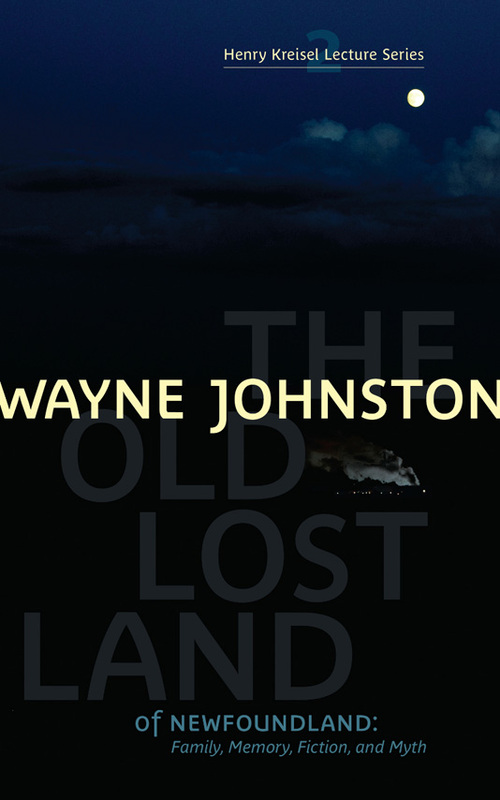 "The Old Lost land of Newfoundland: Family, Memory, Fiction and Myth"
Wayne Johnston discusses the myths and realities of his native Newfounland. The chapbook is part of the Henry Kreisel Lecture Series, delivered at the University of Alberta. A master storyteller, Johnston peppers his lecture with impromptu asides, delighting his readers with true tales and well-spun yarns. There are occasions when, looking out from the top storey of the Independence Building, Joey Smallwood wishes he could spend some time among the mortals. He enjoys watching them walk on the catwalk that extends from Signal Hill to the cliff above Fort Amherst. Why did he come to the city? He was not yet ready to return to the one where his wife was waiting for him. He could never return to the one where he was born. With the passage of time and having taken up a position as writer-in-residence at Hollins University in Virginia, it is now safe, I believe, to share a fond remembrance of the Governor General's circumpolar state visit to Finland and Iceland a year and a half ago. I was recently offered and accepted a "chair" at Hollins University in Roanoke, Virginia. Hollins' Master of Fine Arts program in creative writing is one of the highest ranked in America. Wayne Johnston contributed his story, "The Montreal Canadians," - a reprint of the same story originally appearing in the book Original Six - to this first ever anthology of its kind. Stephen Brunt, Canada's premier sportswriter brings together the best writing on sport in this country, with a strong contemporary flavour. Wayne Johnston's story, "The Montreal Canadians," appears in this collection of six stories, each stemming from the classic era of the NHL before expansion in 1967. These stories are full of heroism and humour, love and longing, and are meant as a balm for a nation whose spirit is sagging and in need of a transfusion of enthusiasm.